As President & CEO, Andrew Lo leads all digital innovation and operations for Kanetix Ltd., Canada’s largest digital customer acquisition platform for insurance and financial services. He is also a Business Strategy Advisor for Ryerson University’s DMZ helping to develop entrepreneurs and startup companies at Canada’s largest startup incubator. Andrew has over 24 years of experience as a business and technology leader for FinTech companies such as Filogix and D+H, and has developed organizations from startups into industry shaping ventures with over 4,000 employees. It’s that time of year again when we start getting tactical about 2017. Business strategies have been formulated and approved, and now it’s time to focus on execution. As usual, the new year starts with the world’s largest technology conference, the Consumer Electronics Show (CES), held in Las Vegas the first week of each January. It focuses purely on the consumer and it sets the pace for changes in consumer expectations and behaviours as new technologies promise to enhance all our lives and standard of living. The announcements that come out of CES, will shape consumer expectations on technology for years to come. Which is why, ahead of this conference, I wanted to share my thoughts on what the consumer is going to expect from the insurance industry in 2017. Here are my top five predictions. More than a year ago, the number of mobile devices connected to the Internet surpassed the number of people in the world. With IoT, that number is going to accelerate. At the 2017 CES, there will be tons of device manufacturers showcasing their latest connected home products. Under Armour is scheduled to deliver a keynote address and will likely announce a health and fitness technology that is wearable. With wearable IoT tracking an individual’s health and fitness, consumers will no longer want to be underwritten statistically or probabilistically, they want to be treated personally when it comes to life and health insurance. They will want to be able to choose to share data from their wearable IoT related to their health in real-time and to acquire a policy and price that is unique to them. Throughout 2016 at various industry conferences, we heard from both millennials and Generation Zs say that they prefer to buy online, anywhere, anytime and on any device without having to call anyone. They want the process to be easy and frictionless. Amazon has set the bar for consumer behaviour with their implementation of the one-click buy and Prime Now delivery service. Sonnet is a brand that offers a complete end-to-end buy online solution for home and auto insurance. They are setting the bar for the rest of the insurance industry and we will see more insurers implement a buy online solution in 2017 for home and auto. The sharing economy is just beginning. It is great to see in Ontario and Alberta that there are insurance options for Uber drivers. And, since Uber is still not available for all of Canada we will see this expand. Airbnb is another platform where owners can share their home or condo by the day. There are several limited insurance products if you use your home or condo when renting occasionally using Airbnb but currently if your property is mainly used for Airbnb, you need a commercial policy. Homeowners renting on Airbnb will see a much tighter integration with insurers providing automatic coverage for properties listed on Airbnb. 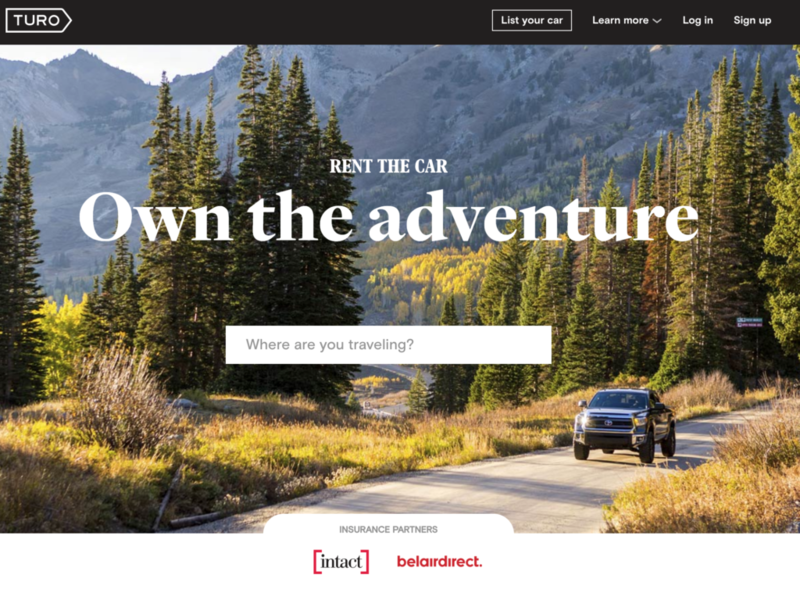 Intact was smart when they partnered with Turo, the platform for renting out your car when it is not in use. They launched in Canada with an insurance solution ready to go. 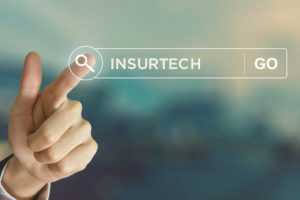 As more technology providers build sharing platforms, we will see insurers play a more pro-active role with innovative products that meet the consumer’s desire to share their “stuff” and make a second income. There is a ton of research on commercializing the autonomous vehicle and Canadian consumers love the idea. We will see progress updates from Nissan, Toyota and Hyundai at the 2017 CES. Technology providers such as Google and Apple, along with traditional auto manufacturers, are all in this race. While the fully autonomous vehicle for consumers is still in the distant future, innovations such as collision avoidance detection and automated emergency braking are now commonplace options for new vehicles. These features are making our roads safer. As a result, Aviva launched at 15 per cent discount program for all policyholders who drive a vehicle equipped with an automated emergency braking system. In 2017, we will see more insurance discount programs as these systems and enhancements continue to make driving safer for everyone. Similar to buying insurance online, consumers will also expect the same level of service after they have purchased their policy. They will want to make changes anywhere, anytime and on any device. Trust will increase with the insurance provider if they can text their provider online with any special needs or requests. Have you ever tried to get support from Rogers Cable? I discovered I get faster service if I direct message them on Twitter! Consumers will expect faster service online. 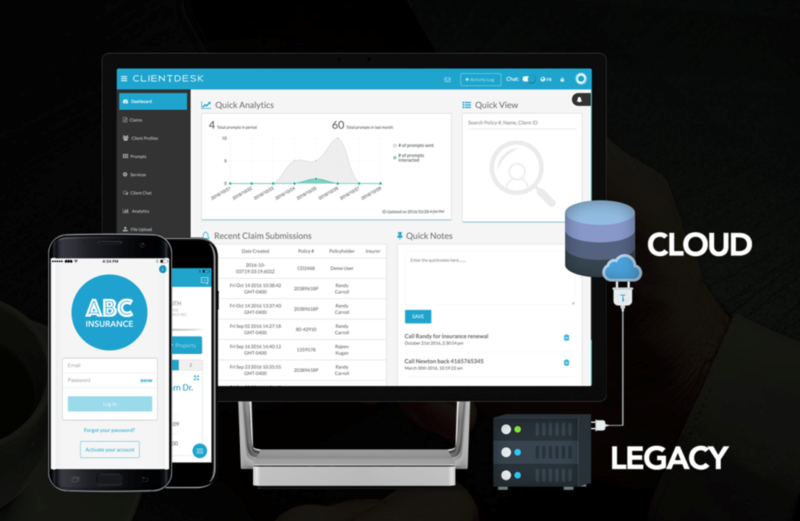 To this end, ClientDesk is a ready-to-install platform that connects policyholders to their insurance provider. Through an app, policyholders can store their pink slips and other documents, chat with their provider, initiate policy changes and submit a claim all with a tap of the smartphone. Integrated with an insurer’s back-end, these functions can be automated resulting in a better consumer experience and lower servicing costs. I hope to see the insurance industry well represented at CES 2017. Follow InsBlogs for further updates on CES in January.